Majestic Limo Service has over two decades of experience providing shuttle service to the Arlington VA area. We've earned the reputation as the most dependable shuttle service bus and shuttle van service in Arlington. Our drivers will pick you up on time and shuttle you to your intended destination without delay. We know the best way to get you where you need to go -- even in rush hour traffic. So, allow us to take care of your Arlington transportation needs, while you relax in one of our luxury shuttle vans or buses. Whether you need transportation to a Metro station, wedding shuttle transportation, condo shuttle bus service to Metro, or any other shuttle related travel, we'll get you there in style and as quickly as humanly possible. No matter the size of your group, we'll provide you with the SUV, shuttle van, or shuttle bus that best fits your transportation criteria. 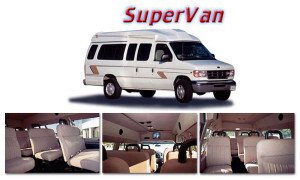 Unlike some of our competitors, we own all of our shuttle vehicles to offer the best possible performance. Check out our wide selection of vehicle choices! Give us a call now, or complete the REQUEST AN ESTIMATE form for a quick quote.